Government and charity assistance is available to single mothers throughout the state of Oregon. Assistance programs help with free food, housing costs, rent, energy bills, mortgages, and free health care. The purpose of this program is to assist and improve the well being and health of lower income households by providing single moms the means to meet their nutritional needs. 503-945-5600. Free food, groceries, and nutritional items are provided by hundreds of non-profits, churches and other aid organizations to families and single mothers in Oregon. 503-282-0555 to contact the Oregon Food Bank assistance program. Several programs are made available to help homeowners deal with a foreclosure notice or help them catch up with their mortgage payment. Non-profits and local Oregon municipalities offer these resources. A HUD approved foreclosure counseling agency is another option for Oregon homeowners. Call 888-995-4673 to get help and assistance from the Making Home Affordable (MHA) program. Several programs are focused on eviction and homeless prevention by offering emergency funds for rent and providing housing stabilization. Two emergency housing programs are run by the state. One is for low income Oregon families who are faced with eviction and the other one is for seniors. 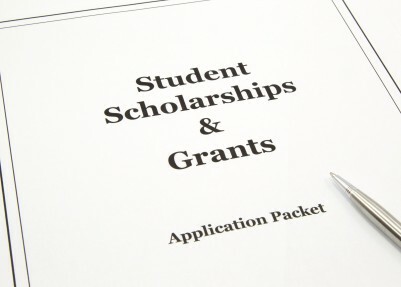 If an individual should apply he would receive grants, direct cash assistance, and counseling as well. Neighbor’s Impact Rental Assistance Program can help you pay your rent. Call 541-318-7506. While families strive to become self-sufficient the program will help by providing cash assistance and grants to families and single mothers with children that are struggling and have a lower income. Through the means of employment, training, and community resources TANF aims to reduce the number of families that are living in poverty or near poverty. For an application, contact the Oregon Department of Human Services at 503-945-5651. The state of Oregon offers low income single moms a number of financial assistance programs. Help is offered to help you pay for basic needs such as food, medical costs, child care and other bills. Centers that are run by volunteer medical professionals, and also government funded clinics offer low income single mothers, the working poor, and uninsured, free health care, and sometimes dental assistance. Medical bill assistance can be provided to uninsured families by the federal government and state of Oregon sponsored programs. Prescription medication, physicals, care for children, help for seniors and other support is available. For the low income single moms in the state there are several clinics that focus on providing dental care and financial aid. The main goal of FHIAP, a subsidy program in Oregon, is to assist families and single mothers in need with paying for health insurance premiums. FHIAP provides other grants and help, however, it will not pay for office visit co-pays or deductibles. All residents are eligible to apply, even those who currently have insurance. 888-564-9669. This program will offer single moms health care and health insurance at little or no cost. 800-527-5772. All Oregon residents can benefit from this program. Enrollment in a cost-saving program, without any costs to enroll, will be provided to individuals. A total of up to 60% can be saved on medical prescriptions. 800-336-6016. A financial aid program destined for elder single moms and seniors in Oregon that need help with paying for medical prescriptions. 800-359-9517. A new program was launched in May 2009 with the goal of helping Oregon families and single moms pay for prescription medication. Oregon Rx Card is a discount prescription drug card program. Substantial discounts on both generic and brand name prescription medications is provided with the card, which is free to all individuals and families in Oregon. The program and card are free and the savings average range from 20-40%. You can create your own personal card by following this link. High quality, free legal advice and assistance is offered to anyone looking for such help. The Legal Aid Services of Oregon, a non-profit organization, provides this service to single moms anywhere in the state. A community action agency can assist with finding a new job, obtaining new skills and with career counseling. Grants are available for child care, rent, certain bill payments all while working and receiving counseling. 503-947-1800 to call the Oregon Unemployment Department. Limited amounts of financial assistance, case management, and other services can be provided by non-profits such as the Salvation Army. Resources can help you pay for bills and expenses, including rent. Unemployed single moms or residents seeking employment can be helped by the WorkSource Centers in Oregon with finding a job. Training, career counseling, programs for veterans and seniors and more is made available. This assistance program is made available to single moms by the many Oregon utility and gas companies. Working with non-profit organizations, Operation Round Up provides various types of assistance and grants to those people in need. Utility and heating bills, assist with paying rent, pay for medical bills and debt, and more, are the type of things the program can help you with. 541-536-2126 or 800-722-7219. Grants, financial assistance and weatherization programs are provided to customers by the many utility companies that operate in Oregon. If you are struggling with your energy bills you can get help from programs such as HEAT Oregon. PGE customers should call 800-542-8818 while Pacific Power customers should call 888-221-70-70. Discount programs from Lifeline along with other forms of government financial aid are available for both standard land lines and cell phones services. 800-848-4442.